This is the best way to practice your driving skills. Drive your buggy and be very attentive, cause your way will be through the office tables. 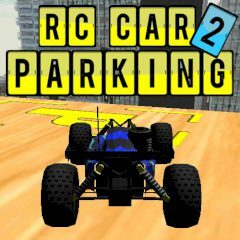 Use arrow keys to move and park your car as better as possible. The park will be marked, so you can see that. Good luck! This is the second part of the exciting 3D game. You have to park your cool little vehicle. It is not so easy as it seems to be at first. Just imagine that you are in new office and even new steering for better parking! Are you ready to be the master of parking? Try not to fall down and pass all ten levels easily. Are you already fascinated? Then do not waste your time and park your amazing buggy! We wish you good luck and try to vanquish this office equipment! Use arrow keys to move and become the champion!